We drew the winner of our first holiday voucher competition just before the Christmas Holidays. The competition that ran via Facebook attracted great interest and we will continue to run similar events throughout 2014. The prize was a €500 voucher for a holiday/flights of the winners choosing in conjunction with our friends in the Travel Department in Harmony Row, Dublin 2. The lucky winner out of the tombola was Karen Kearney. 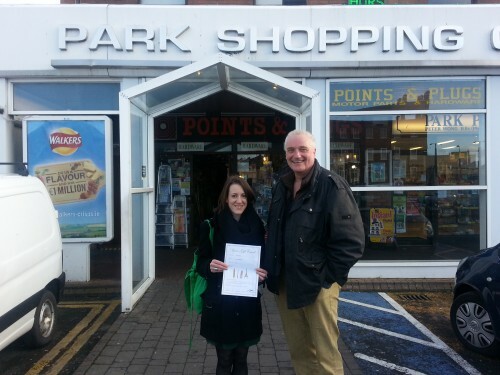 Here is she is accepting her voucher from Graham this week. Congratulations Karen!